Whether you’ve never fished in your life or you’re an expert with a rod and reel, Flygirls is ready to lend a hand. Knee-deep in a clear Michigan trout stream is Ann Miller’s happy place. “Fishing is the only time when I can escape from all life’s worries and just think about what I’m doing on the river,” said Miller, co-founder of Flygirls of Michigan, a club born 21 years ago out of the need for more fly-fishing opportunities for women. Whether you’ve never fished in your life or you’re an expert with a rod and reel, Flygirls is ready to lend a hand. Its members come together throughout the year for fly-fishing outings across Michigan, as well as fly-casting workshops, fly-tying bees, insect identification, knots and rigging, rod building and other fishy topics. “Many of our Flygirls have learned to fish through the group, and they love to give back by teaching newcomers,” said Miller, a Benton Harbor, Michigan writer who helped organize the group in 1996. 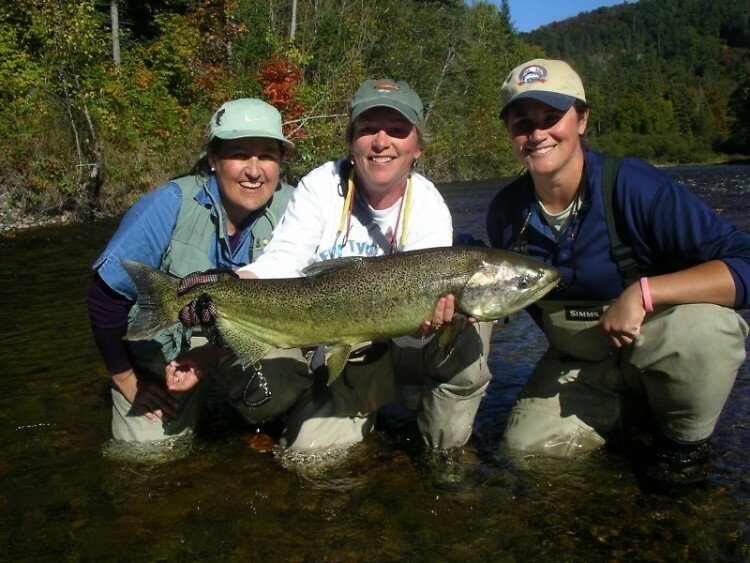 Flygirls of Michigan is a charter club of the International Federation of Fly Fishers (IFFF). Along with assisting women to become fly fishers, Flygirls also encourages, advocates and works toward conserving and improving Michigan’s rivers and streams. The club is also dedicated to providing young girls with the chance to try the sport. Flygirls members often volunteer with other organizations such as Trout Unlimited to assist in teaching programs such as STREAM Girls. The program takes Girl Scouts out on a stream, teaches them about the science behind stream health – and is a great opportunity to share their passion for the sport of fishing. “We want to make the outdoors relevant to younger generations, and we’ve learned it’s better to encourage them when they’re 10 years old instead of 25,” said Belinda Friis, a Livonia attorney and Flygirl. 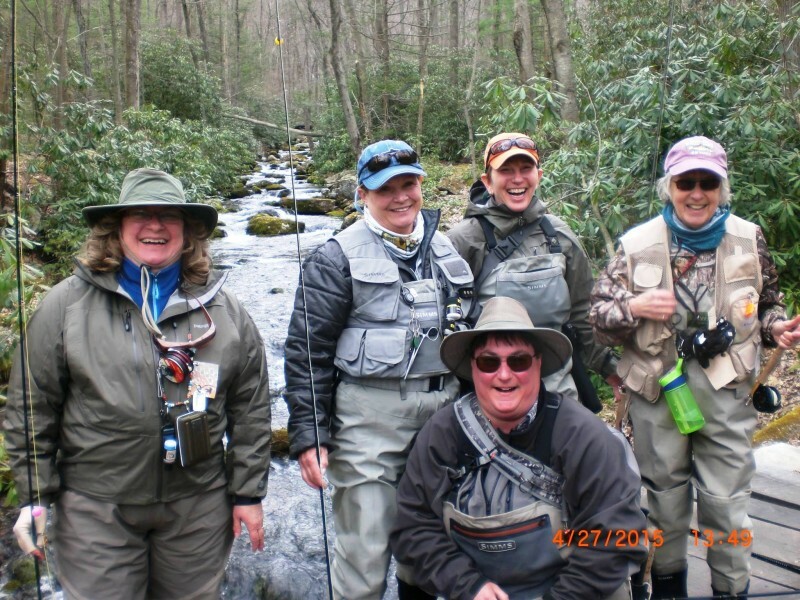 In 2016, several Flygirls volunteered for a Casting for Recovery® retreat program that combines breast cancer education and peer support with the therapeutic sport of fly-fishing. “Our last day was spent on the river with one-on-one helpers, and the women really flourished. 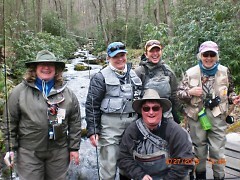 I think many of the participants will continue in fly-fishing as a result of this introduction,” Miller said. Flygirls members also pitch in on wildlife conservation projects such as river cleanups hosted by the Anglers of the Au Sable in northern Michigan and donate to other worthy educational and conservation causes. But even if you don’t fish, most of us can appreciate its importance to the quality of life in the Great Lakes State, said Matt Pedigo, chair of the Michigan Wildlife Council. “Spending time outdoors is the perfect way to connect with friends, get the kids outside and build some great memories,” Pedigo said. The Michigan Wildlife Council is in the midst of a campaign to increase public understanding of how wildlife and Michigan’s outdoors are managed and funded, and the role sportsmen and sportswomen play in preserving Michigan’s outdoor heritage for future generations. 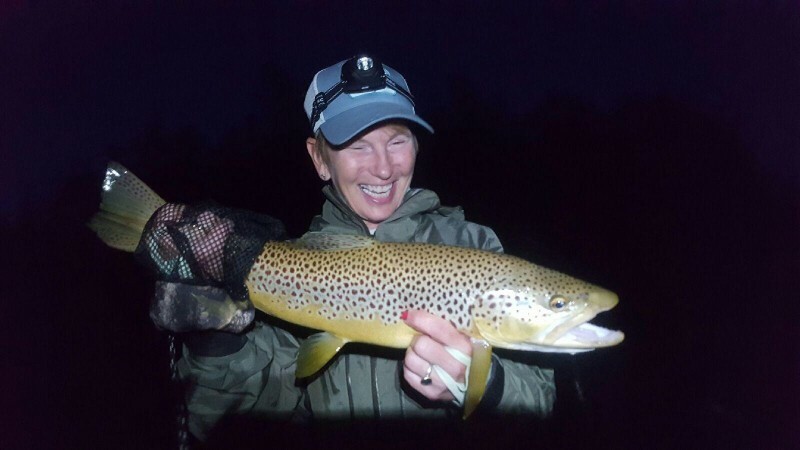 Friis said she fly fishes all over the state and on most summer weekends can be found searching for trout or bass in rivers ranging from the Huron River in southeast Michigan, all the way up north to the Au Sable River. She joined Flygirls seven years ago at the age of 49 because she’d never fished and was looking for other women interested in the sport. “There’s a lot of peace and joy and camaraderie. When you’re in the river, it really makes you feel like you’re part of the whole ecosystem. It’s an immersion,” she said. Members come in all shapes, sizes and ages from across Michigan and the Upper Midwest. “Quite often, our new members are women who are retired or recently widowed. Their kids are all in college and grown and, for whatever reason, they’re finally taking time for themselves,” Miller said.